76 · Crime on TV: A Tale of Two Halves · Charles Waring · mr; review of tv series Law and Order. No fiction in this issue. 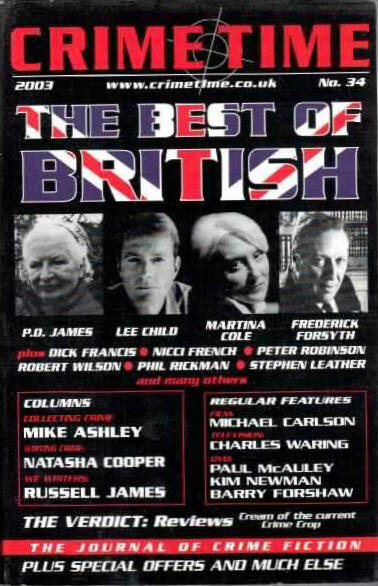 Subtitled The Best of British. Details supplied by Denny Lien. 43 · [untitled] · Paul McAuley · ar; discusses his story in the M Christian anthology. No fiction in this issue. Subtitled Georges Simenon Special. Details supplied by Mike Ashley. 12 · And as for All These Pipes Im Supposed to Smoke · Alison Joseph · ar [Georges Simenon]; on adapting the Maigret novels for radio. 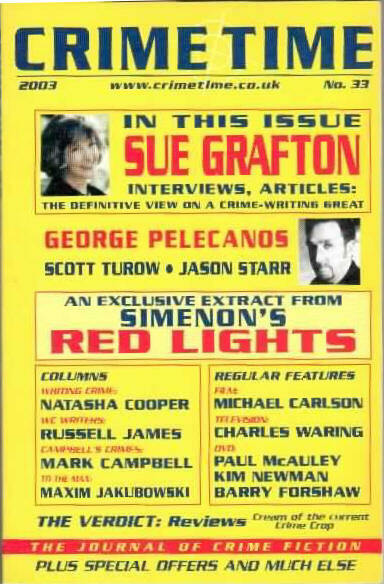 17 · Simenons The Blue Room: A Double View · Susan Rowland & Michael Carlson · ar [Georges Simenon]; an article by Rowland to which Carlson has added an addendum. 29 · Causing Offence · Russell James · ar; providing some background to his new novel No One Gets Hurt. 35 · Sexual Slavery in Glasgow · Denise Mina · ar; about her latest book Resolution. No fiction in this issue. 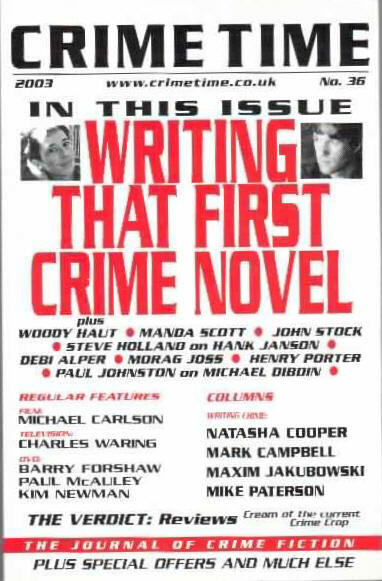 Subtitled Writing That First Crime Novel. Details supplied by Denny Lien. 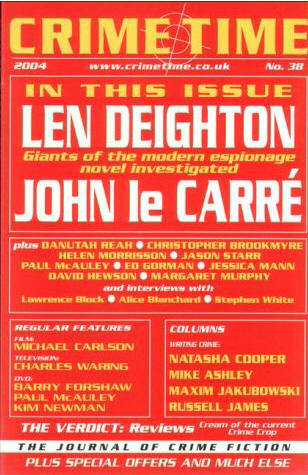 No fiction in this issue. 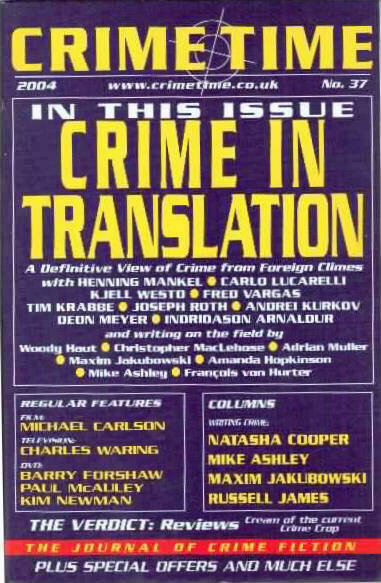 Subtitled Crime in Translation. Details supplied by Denny Lien. No fiction in this issue. Details supplied by Denny Lien. No fiction in this issue. 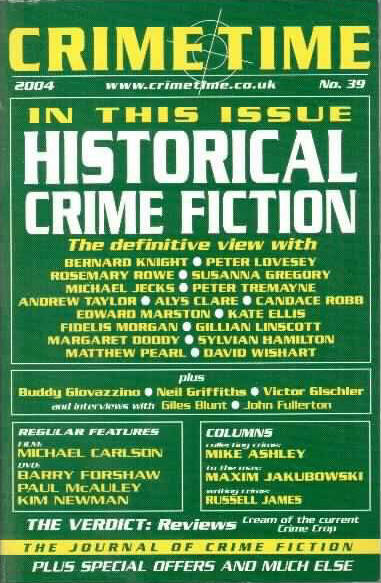 General theme is Historical Crime Fiction. Details supplied by Denny Lien. No fiction in this issue. 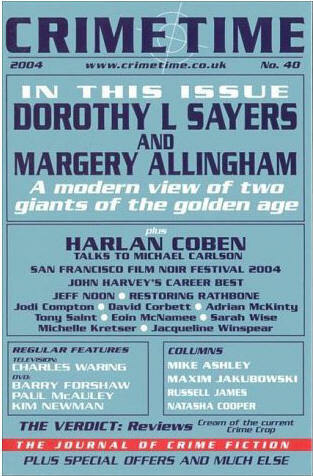 General theme is Dorothy L. Sayers and Margery Allingham. Details supplied by Denny Lien. 51 · Restoring Rathbone · David Stuart Davies · ar; on doing extras for DVD releases of old Sherlock Holmes movies. 67 · TV Crime · Charles Waring · mr; on Cagney & Lacey.